We are excited to announce that Jim Swanson has joined as a Sales Consultant for SandMold Systems, a Sinto America Group Company. Jim brings a great deal of engineering, project management and foundry experience to the team with hundreds of projects under his belt including, most recently the Kohler new HWS tight flask line. Over the years, Jim has not only worked for SandMold, but also been a project manager for Industrial Ventilation, Inc. (IVI), project engineering and engineering manager for Waupaca, Plant 4 and assisted in numerous other foundry projects. 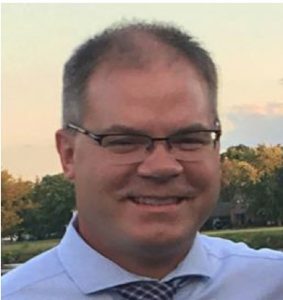 Jim will be focusing on helping customers in the Midwest improve their processes from concept engineering and estimating through project completion and will be working from his home office in Wisconsin. We would like to welcome Jim to the Sinto Group after an excellent first week and wish him much success in his new position. SandMold Systems, Inc. located in Newaygo, Michigan, provides the industry with intelligently engineered plants and systems for the many facets of the foundry and other industries. SandMold not only designs sand systems, they are a full service supplier of complete foundry projects. As a design, build and install engineering and manufacturing company, SandMold handles many projects on a turn-key basis including the design of the building, foundations, utilities, site development, project management and commissioning. SandMold Systems, Inc. is part of Sinto America, Inc., the North American group holding company, of Sintokogio, Ltd., Japan. Sinto America focuses on six primary markets- Foundry, Sand Processing, Bulk Material Handling, Automation, Surface Technologies and Surface Treatment. Sinto also provides contract blasting and precision shot peening services through our National Peening and Technical Metal Finishing divisions. Learn more at www.sintoamerica.com.